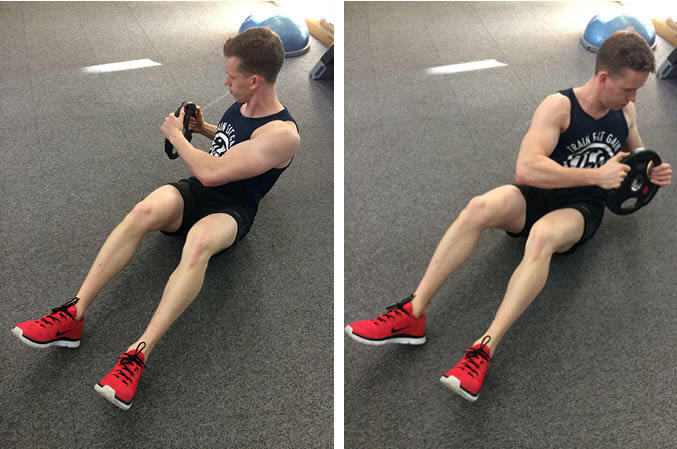 The Weighted Russian Twist is core exercise that primarily targets the abdominals and obliques. 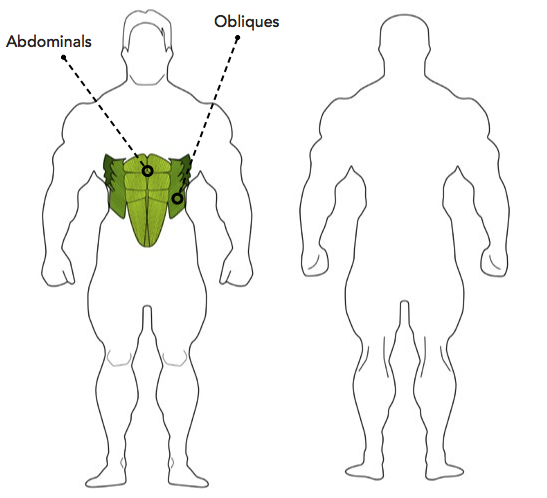 This is a core exercise which is well suited to beginner lifters. Sit on the floor with your knees bent at 90 degrees and your back at 45-60 degrees to the floor, using your abs to hold you in that position. Hold a small weight in front of you with your arms bent at the elbows. Keeping your legs still, rotate your upper body from side to side. Keep your back at the same angle to the floor throughout. If you struggle to keep your feet on the floor, have someone hold your feet down or place your feet under the handles of some heavy dumbbells.